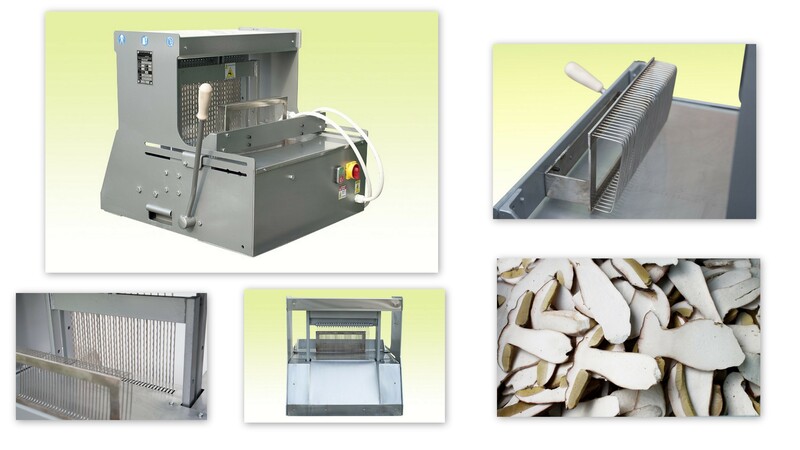 Machine is used for cutting mushrooms into slices. Interval between blades can be different (5mm, 6mm, 7mm , 10mm) or other by customer request. 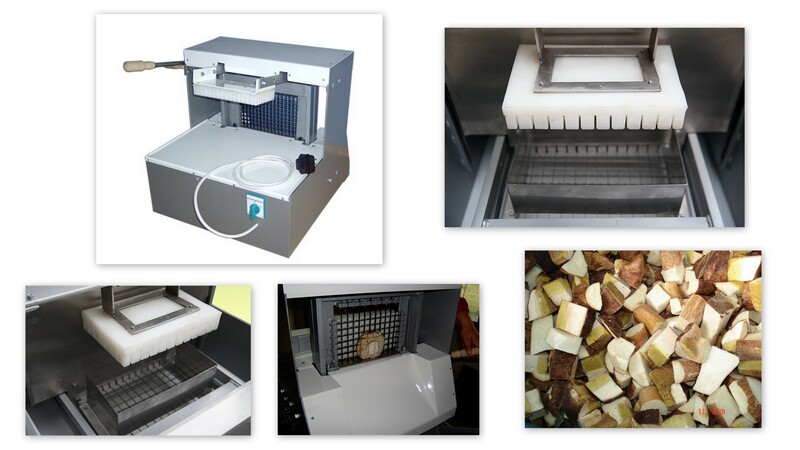 Machine is used for cutting mushrooms into cubes. Cube size can be different (12x12mm, 15x15mm, 17x17mm , 20x20mm) or other by customer request.